A complete watch repair and restoration service is offered at The Watch Gallery and covers a wide range of watch brands with many types of movements (mechanical or quartz, basic or complicated) and in all sorts of conditions. 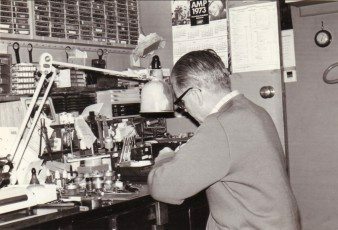 As watch specialists, we are your first stop for vintage watch restoration and repairs in Melbourne. We have a team of highly experienced and skilled watchmakers and technicians who help us offer these watch repair services, including mechanical and quartz movement servicing, case polishing/refurbishing, dial repainting, bracelet and clasp repairs (possible if there are broken parts), water pressure testing for dive watches and vintage watch restoration for both wrist and pocket watches. This is also made possible by the network of contacts we have with assortments of parts for all types of watches which have been acquired from watchmakers and service centres all over the world. So if you have a piece which needs some work attended to, please drop in to the shop for an on-the-spot assessment.